Then, at his confirmation hearing, he promised concerned senators that things will change once he enters the embassy in Tel Aviv. 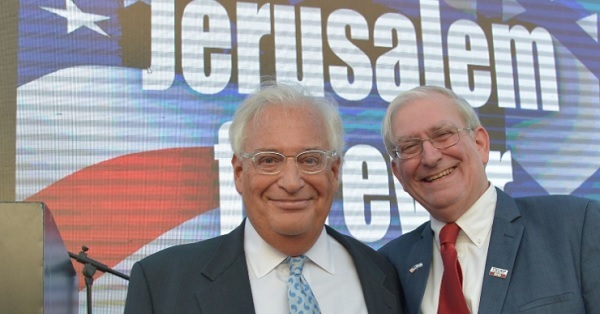 Tell President Trump that this is not acceptable: he must fire David Friedman. On September 28th, APN issued a press release urging President Trump to call back his ambassador and replace him with a person who would better serve our national security interests in this sensitive and vital post.